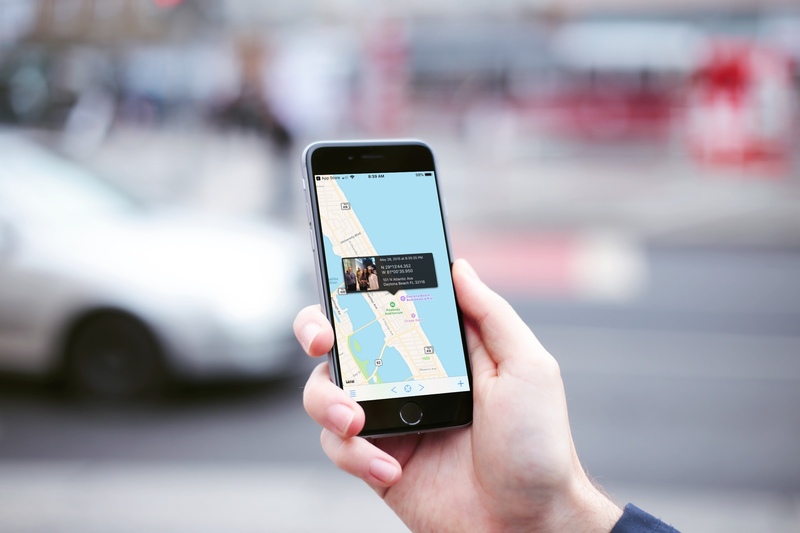 Do you want to get the GPS coordinates of photos on your iPhone? As long as you enabled the location setting for your camera app, then viewing those longitude and latitude points is simple with a free app. 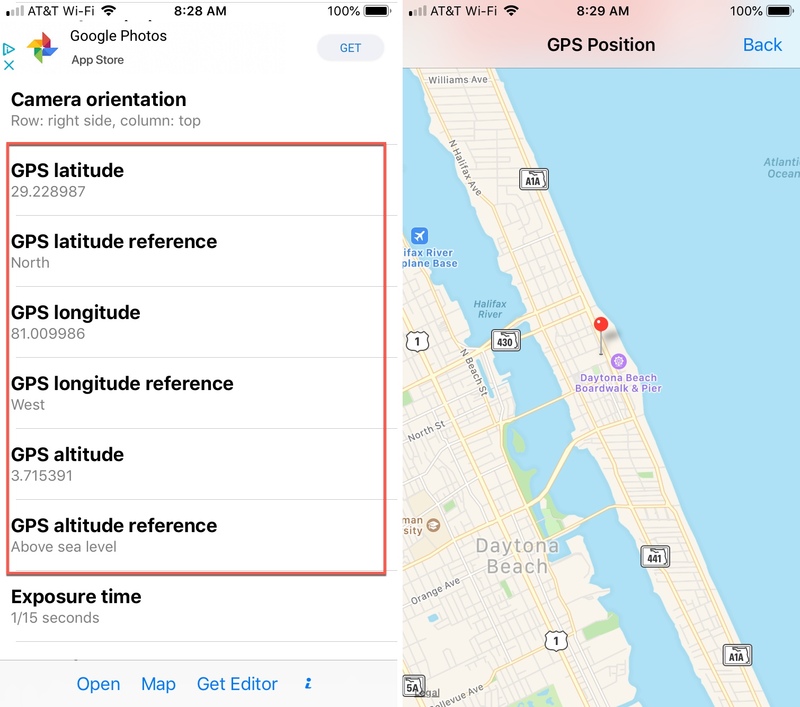 After trying some of these free metadata viewing apps, this tutorial will show you how to view the GPS coordinates of iPhone photos with a few of them. If you search the App Store for tools to give you GPS coordinates for photos, you’ll like see more than enough options. Here are just a few of those apps that we tried out. Each of these apps work just fine and provides metadata for photos you open within the app. And, obtaining the GPS coordinates for a photo couldn’t be easier. When you open EXIF Viewing Lite, you can see all of your photos immediately and select one or tap Albums to narrow down your search. You’ll get basic metadata data in the photo preview, but if you tap the image, you’ll see all of the data with the GPS coordinates at the very bottom above the map. 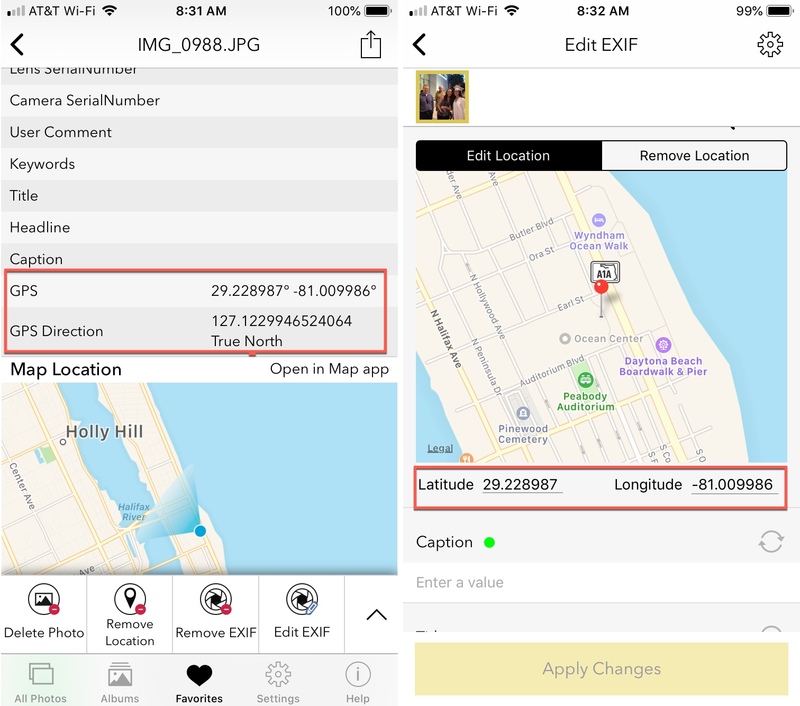 Exif Viewer makes it even easier to see the GPS coordinates. Tap Open at the bottom to locate your photo. When you select the photo you want, you’ll immediately see the metadata including GPS coordinates, latitude and longitude references, altitude, direction, and more as you scroll through the data. Koredoko is one more app you can use to easily see the GPS coordinates. Tap the three-line button on the bottom left to access your albums and select your photo. You can see as you scroll through your images that photos with those coordinates display them in the preview. And, if you tap a photo, you’ll see these same coordinates with the photo on a map. Getting the GPS coordinates for photos on iPhone is easy, quick, and free if you use one of these great apps. 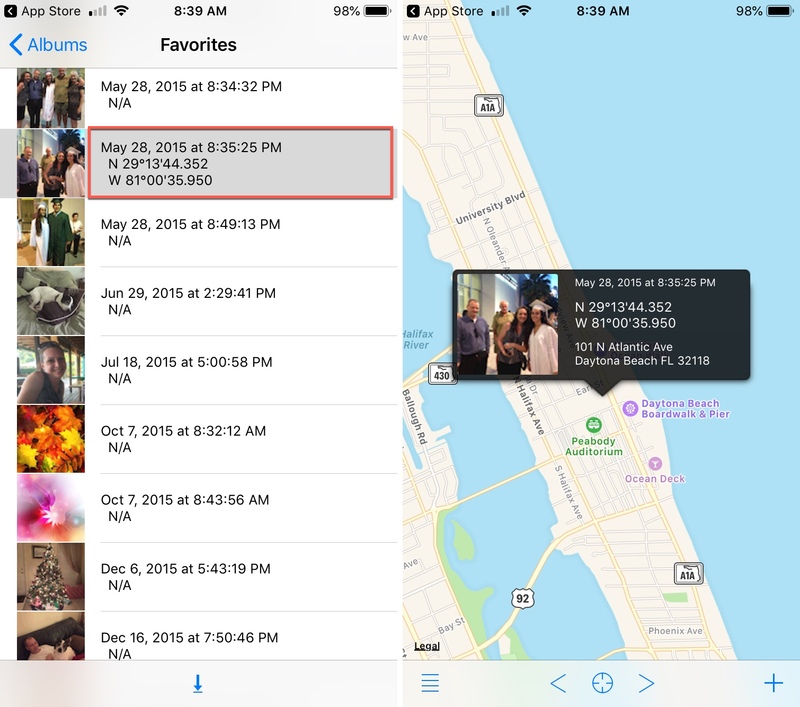 There are plenty of other metadata viewings apps you can try out from the App Store, but if obtaining those coordinates is your main objective, then you can accomplish it with these at no charge. 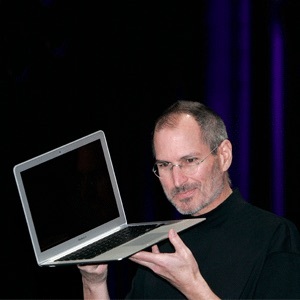 Do you have a favorite tool for snagging the GPS coordinates for photos on your iPhone? Share your recommendation with us in the comments below!